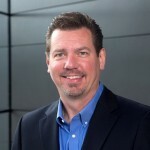 FRAMINGHAM, Mass.--(BUSINESS WIRE)--Staples, Inc. (Nasdaq: SPLS) today announced Brett Wahlin has been appointed to the role of Chief Information Security Officer (CISO). In this new role, Wahlin will be responsible for global enterprise-wide information, product and data security. He will report to Chief Technology Officer Faisal Masud, who leads Staples Digital Solutions, a new organization within the company which combines its traditional IT and digital organizations. Wahlin’s role will be key in the digital transformation of Staples’ business. As customer needs evolve rapidly towards greater use of technology with an acceleration into online and mobile, security threats will continue to increase. Wahlin’s role expands beyond traditional cyber security into product development, connected devices, fraud and loss prevention. Wahlin joins Staples from Hewlett-Packard Enterprise (HPE), where he served as vice president and CISO. While at HPE, he was responsible for all aspects of information security, including security operations and intelligence, security architecture, cyber risk and governance, product lifecycle security, business security and transformation, industry next security and cyber service delivery. He built world-class, extensible security capabilities that protected HPE’s assets and workforce, enabled and extended business capabilities and showcased its security solutions at work. Previously, Wahlin served as Chief Security Officer (CSO) for Sony Network Entertainment International and CSO at McAfee. He has also worked as CISO at Los Alamos National Laboratory, vice president of security architecture for Wells Fargo, and held various positions in security with Intel. He began his career as a counterintelligence agent in the US Army.